Garboldisham hosted Thetford on a sunny but chilly evening. 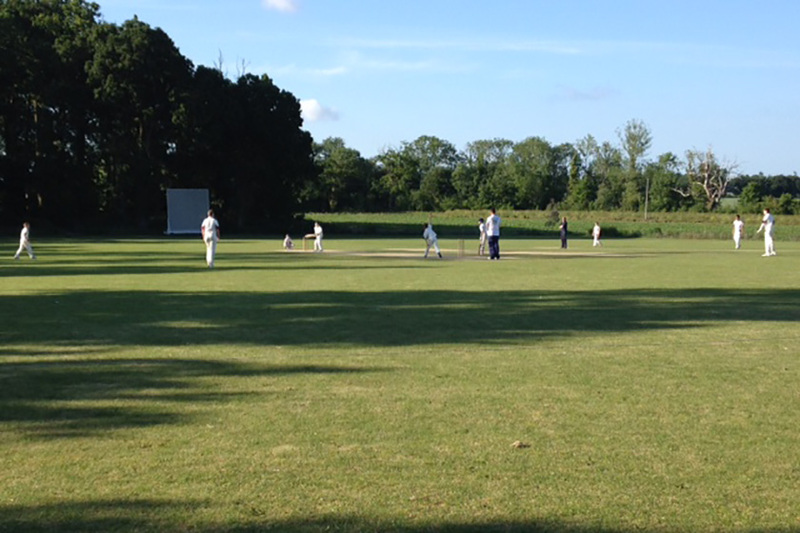 Batting first, Garboldisham’s openers, David Thorne and Thomas Toward-Lisher got the team off to a great start. David played some tremendous shots and with some good running between the wickets they managed to bat through all the overs without losing a wicket. David finished 41 not out and Thomas 25 not out which was a great effort. Well batted! the stumps – but unfortunately it wasn’t enough. Well played Thetford and a good team performance from Garby. Well done to all.